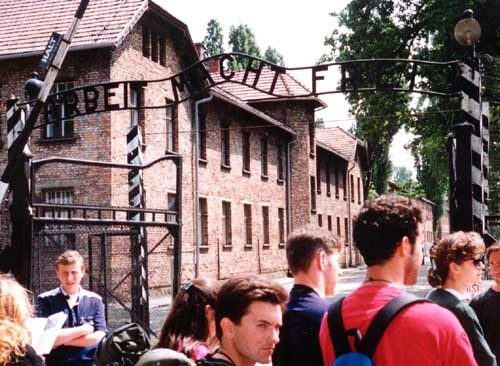 Located in the town of Oswiecim (German name - Auschwitz), Auschwitz must be the best known of the German World War II concentration camps, but Birkenau - a little more than a mile away - is much larger. Both are open to the public. 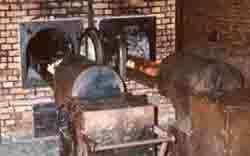 I had visited Auschwitz in 1992 with Staszek, Ania, and Andy and returned this time with Edward, Dana, and Rita. 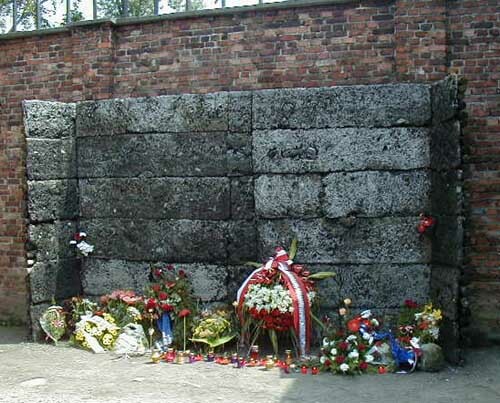 Auschwitz is an emotionally difficult place to visit; children under 14 are not even allowed inside the camp. The visits started with a movie about the liberation of the camp, shown in the vistor center, then a walk through the main entry gate into the camp, which is surrounded by an electrified barbed wire fence. 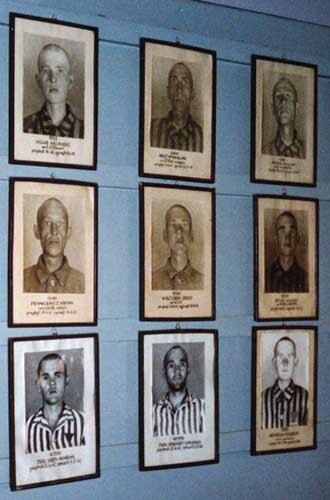 The visit continues with exhibits highlighting the Polish prisoners, Jewish prisoners, Gipsy prisoners, and others. 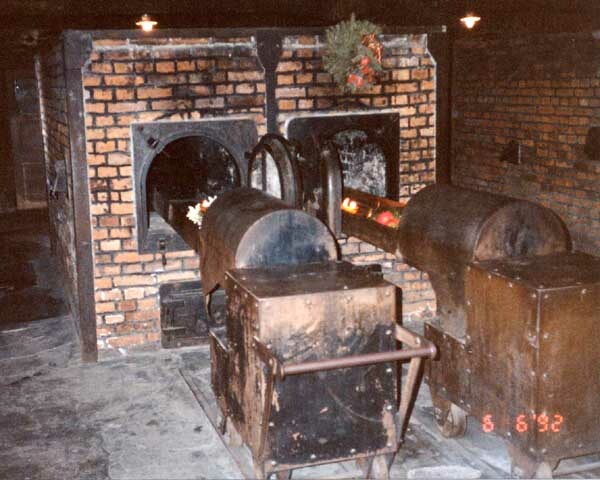 There is a barracks displaying large piles of eyeglasses, suitcases, artificial limbs, and hair taken from prisoners. 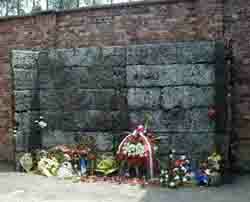 The Killing Wall at Auschwitz where many prisoners were shot.